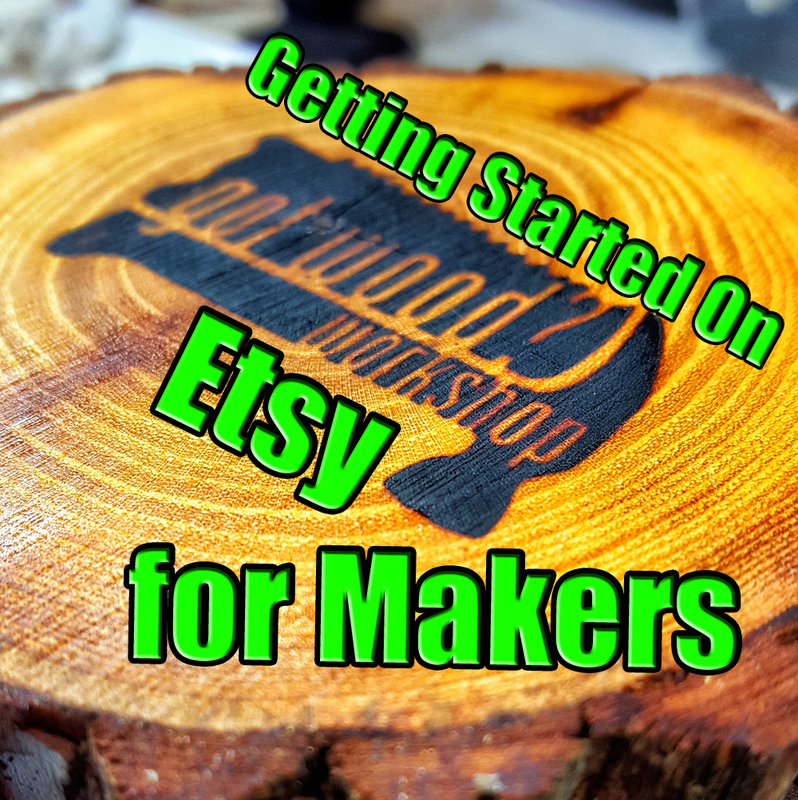 Let me first start off by saying that I’m not claiming to be an expert on Etsy, but I’m here to share some of the things I have learned along the way, in hopes that it will help you get your store off the ground and be successful. If you have any questions or comments on anything, please leave them in the comments below the article and I will respond there, that way, others may learn from your questions as well. The number one thing you MUST do to sell on Etsy is to open up your shop; throw all intimidation out the window and just do it. Don’t make Etsy out to be some monster that it isn’t. Go to Etsy, click on “Sell on Etsy” and make your shop. You can always make changes down the road as you learn about it, but the first step to selling is signing up! Be sure to fill out your About Me area and let potential customers know a little about you and that you’re passionate about whatever it is that you’re selling. People are going to a website like Etsy to buy things from actual people and support what that person is good at, let them know that they are buying from a person who loves making things, they love that! Listings on Etsy are very easy to set up, do not let it intimidate you. All of the things I will go over here are to help your listings show up higher on searches by improving your SEO (search engine optimization). One good way to help you structure a listing is to look at other sellers that are successful selling a product similar to what you are selling. Look for keywords used and use it as a template to create your listing. Use www.marmalead.com to look for good keywords to use that customers are actually searching for to find a product you want to make. Images - Quality pictures are key if you want to be successful selling on Etsy. Be sure to take the time to take nice looking images of the product you want to sell. This does NOT mean you need a fancy camera to do it. Every photo on my Etsy store was shot using my cell phone. The more pictures you have of the product the higher you will show up in Etsy searches, so be sure to show multiple angles of the product. Title - Make your title something customers would search for to find your item, not necessarily a descriptive title. If you make bowls, the title “Spalted Maple Bowl” is descriptive, but customers are likely not going to search for that. They may search for “wood fruit bowl”, “wood catch all bowl”, “wood bowl housewarming gift” etc. Be sure to include things like that in your title. About This Listing - The thing to focus on here is the Made to Order, last box. I personally recommend doing made to order pieces for Etsy. Etsy takes quantity sold and how recently an item has been sold into consideration on their searches. If you do a new listing for every single item you sell, then the listing will never have a quantity more than one sold, and it won’t matter because the listing is sold out. With Made to Order items, as long as the quantity is not 0 the listing will relist the second it’s sold. I cannot tell you how many times a listing will have not sold for a week or two and the second a customer buys it, I get 4 more orders for the exact same item. Description - Feel free to share a little bit of your process of making the item here and let your customer know that what they will receive will be made by hand, not in some factory. Again, it’s very helpful here to look at other successful shops and see how the descriptions are worded for inspiration when writing your own. Tags - this is where www.marmalead.com comes into play. Try to make your tags mimic your title to improve your SEO. Pricing - Do some research to get a baseline of what others are selling a similar product for to get an idea of price and play around with pricing until you find what works best for you and the customer. Note: many people on Etsy are selling their items way too cheap, DO NOT undersell yourself. People are coming to Etsy for handmade goods and are generally willing to pay a higher price. In fact, I have even heard from customers that they avoid listings that are selling too cheap because they associate cheap with crap. Shipping - It really isn’t a big deal, let me repeat that, it really isn’t a big deal. This is one of those things people make out to be an enormous mountain, when it is really just a learning experience. The first time you ship something you may have undercharged the customer on shipping, but that’s okay because you have just learned from that experience and now know what to charge the next time. After you know the weight and size box you can begin using calculated shipping. I personally use it for everything, to do this you need to know the box size and weight. I get all of my boxes for FREE from USPS website. Go to the free shipping materials section and they will send you boxes for free as long as you use their priority mail service. I purchase packing paper from eBay and get 50lbs of it for less than $30 shipped. This is something I know people will have questions on, so feel free to leave them in the comment section. Etsy does take a little bit to get up and going, please do not get discouraged if you don’t sell something within your first week or month. It took nearly 2 months for me to make my first sale on Etsy. I am hoping that by sharing some of the things I have learned you will be able to get up and going quicker than I did, but I’m proud to say I persevered and am now just shy of 800 orders in just about 2 years. This is just a walk through on getting started and setting up your first listing. I’m sure there are things I have forgotten to add and will go back and edit the post to add more detail to it or will do more in depth posts on specific topics. In the meantime, leave any questions, comments, anything you'd like me to elaborate on or suggestions for more topics in the comments below. If you have something specific for me, feel free to shoot me an email, message me on Instagram or on YouTube! I hope you found this helpful, now go take that first step and set up your Etsy account so you can start selling!